In the Big Bend area (Davis Mountains, outside Fort Davis, Texas), I offer camel-assisted treks focusing on flora/fauna, history/prehistory and camels carry all our gear. Treks are designed for some riding and some hiking. 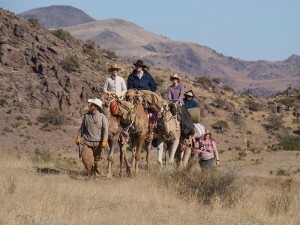 Participants will help load, unload and work the camels as we travel ranch roads, cattle trails, creek beds and mountain passes. Guests must be able to hike between 5 and 10 miles per day over varied terrain. 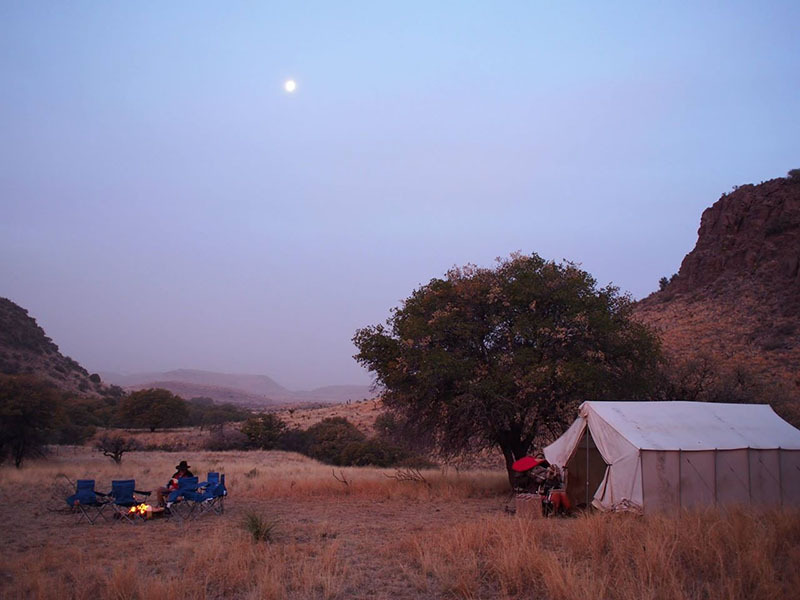 On these overnight or 3-day treks you and I will travel the same Big Bend region of West Texas that the historic US Army Camel Experiment explored in 1857 on the Beale Expedition. While the US military scouted fort locations and searched this area for better supply routes to the US/Mexican border, the present day treks combine desert scenery, history and ecology with the colorful part the camels played in settling the West! All treks include knowledgeable guides/cooks, tranquil nights sleeping out under the stars and endless photo opportunities in the Big Bend region of Texas. Overnight in the Big Bend area, $750 per person, 3 guests minimum. 3-day trek in the Big Bend area, $1050 per person, 3 guests minimum. 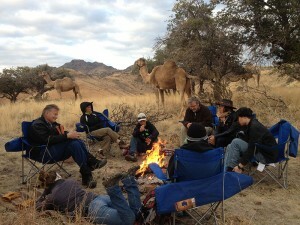 Wildlife and nature viewing, at a camel’s pace, is unlike anything you’ve ever done before. Peaceful afternoon in camp after trekking all day. Tents or under the stars, it’s your choice.